For over a decade, CPA has been transforming development challenges into real estate opportunities, providing coordinated solutions to clients at every stage of the real estate development process. We provide consulting and project management services to an array of clients throughout the industry. From public sector bodies and non-profit societies to developers and community organizations, we provide our clients with coordinated solutions to every facet of the development process. You can have confidence in our professionalism and integrity. For over a decade, CPA has been assisting public, private, and non-profit clients meet their development objectives. We have a strong working relationship with agencies at every level of government, as well as all of our current and past clients. At CPA, we transform your development challenges into real estate opportunities. 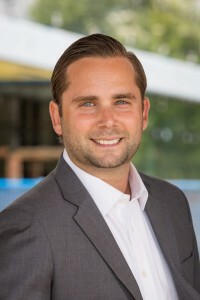 After graduating from McGill University, Casey began his career in real estate working for a large scale, Vancouver-based developer before joining CPA in 2008. 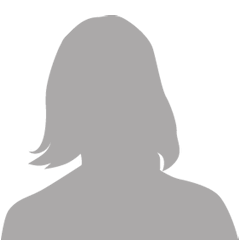 Since then, Casey has worked with dozens of non-profit clients to achieve their development objectives. Casey has developed all forms of non-market real estate developments, including affordable housing, supportive housing, seniors independent & assisted living, seniors residential care, treatment centres, support recovery homes, shelter and transitional housing, office and programming space, and more. Graham has been with CPA since 2013, and has now assisted non-profits in over 10 municipalities across the Lower Mainland and in the Interior of BC. Graham has worked on affordable housing, supportive housing, seniors independent living, support recovery homes, and more. Graham has both a Masters of Planning and Diploma of Urban Land Economics. Jack has over 40 years’ experience in real estate development, including work as a developer, mortgage broker, and 20 years of working as a development consultant to non-profits. Jack is no longer involved in the day-to-day operations of CPA, but continues to play an integral role in the company and regularly meets with and consults with both CPA and clients. Alison is an experienced and committed Development Manager and has been working in the housing sector for the past 12 years. Her practical experience combined with her educational background in commerce and accounting adds value to all of the projects she manages. Her strong financial acumen and attention to detail are vital when it comes to ensuring projects are completed on time and on budget. Heather has been working in the field of residential design and community development since 2010. She has worked alongside a variety of communities both locally and abroad. After graduating with a Masters of Architecture she focused on community development projects in India and Sierra Leone. Once settled in Vancouver she spent several years in the residential design sector where her duties included design, liaising with clients and municipalities, coordinating project budgets, and construction administration. Heather joins CPA as a Development Coordinator, providing support on a variety of projects. Marcio spent 10 years working in residential and commercial real estate in Brazil, and completed his Masters in Planning Engineering. In 2016, Marcio led the project coordination of the Rio 2016 Olympic Athletes Village, including all schedules, budgets, and procurement procedures. At CPA, Marcio supports the team in all facets with a focus on project financials.